Dan Catenacci scored his prospect-leading 27th goal of the year Saturday and added an assist as Owen Sound pitched a 12-0 blowout of Peterborough. The speedy 5'10 center has seven goals and 14 points in his last eight games. A season ago, he posted just six marks in 30 games after January 1st. Catenacci now has 21 multi-point games this season, while the 27 goals sets a new career high. Nathan Lieuwen made 22 saves as Kootenay downed Saskatoon, 5-2. The 6'5 netminder has gone 3-1 thus far in February, allowing two goals or fewer in all four starts. He'll enter the stretch run with a WHL-leading 2.30 goals against average. In the QMJHL, Jerome Gauthier-Leduc extended his blueline points lead with a pair of assists in Rimouski's 5-4 shootout win over Blainville-Boisbriand. Leduc, who missed in his attempt as the Nics third shooter, has a goal and five assists in five February games to up his line to 24-38-62 through 50 games. Cedrick Henley snapped an eight-game point drought with an assist as Val-d'Or bagged a 6-5 overtime win over Cape Breton. The 20-year old forward has 27 points (10+17) in 41 games. Mark Pysyk tied a career-high with a +4 rating as Edmonton avenged their loss the night before with a 5-0 victory over Prince George. The steady captain has 10 points (2+8) in 16 games since returning from the World Junior Championship. Colin Jacobs earned an assist as Seattle got smoked by Portland, 7-2. The 6'1 Texan has three goals and two assists in his last five games. Steven Shipley did not factor into the scoring as Niagara blanked Barrie, 3-0. Alex Lepkowski finished -1 for the Colts, while Gregg Sutch collected two minor penalties including an unsportsmanlike after a spirited wrestling match with Luke Mercer late in the third. Brad Eidsness entered the game in the 22nd minute, stopping all 14 shots he faced the rest of the way as North Dakota's comeback came up short in a 5-4 loss to Minnesota-Duluth. 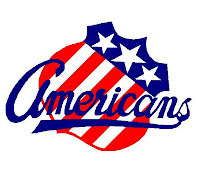 Eidsness, who came over the boards at 1:46 of the middle frame after Aaron Dell allowed five goals on 17 shots, used the relief work to improve to a 2.08 goals against average and .924 save percentage. Justin Jokinen (-2) punched two shots goal on as Minnesota State earned their first WCHA sweep of the seaosn with a 2-1 win at Alaska-Anchorage. The senior has three goals and 11 points with four games left on the regular season schedule. Mark Adams played even as Providence defeated Massachusetts, 5-4. Undrafted forward Mike Pereira, a player mentioned in the past two previews, scored a hat trick for the Minutemen. Christian Isackson (-1) contributed two shots on goal as #2 Minnesota was defeated for the second straight night by #14 Denver, 4-3. The weekend split marked the first time that Isackson played in both games of a WCHA series. Connor Knapp was given the night off as Miami earned the non-conference sweep with a 4-1 win over Alabama-Huntsville. The 6'6 senior currently leads the CCHA with a 1.81 goals against average (t3rd in nation). T.J. Brennan scored in his first game back on the farm as Rochester was defeated by San Antonio, 4-1. Trailing 1-0 in the second period, Brennan fired a laser from the point to tie the game. The mark was his eighth of the year and first AHL point since January 8th. Drew Schiestel and Paul Szczechura drew assists on the play. Reigning AHL Most Outstanding Rookie Luke Adam, who along with Brennan was loaned to the AHL club earlier in the day, finished with two shots on goal and a pair of stick penalties. It was his first game in a Rochester uniform after scoring 29 goals and 62 points last season with Portland. 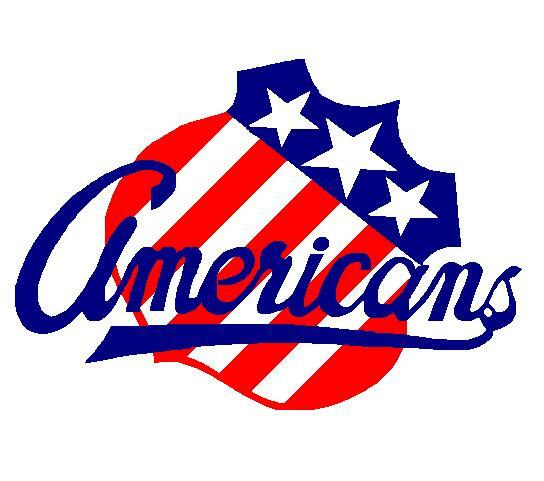 The Amerks are now off until Friday when they host division foe Lake Erie.